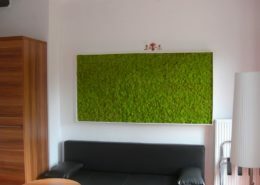 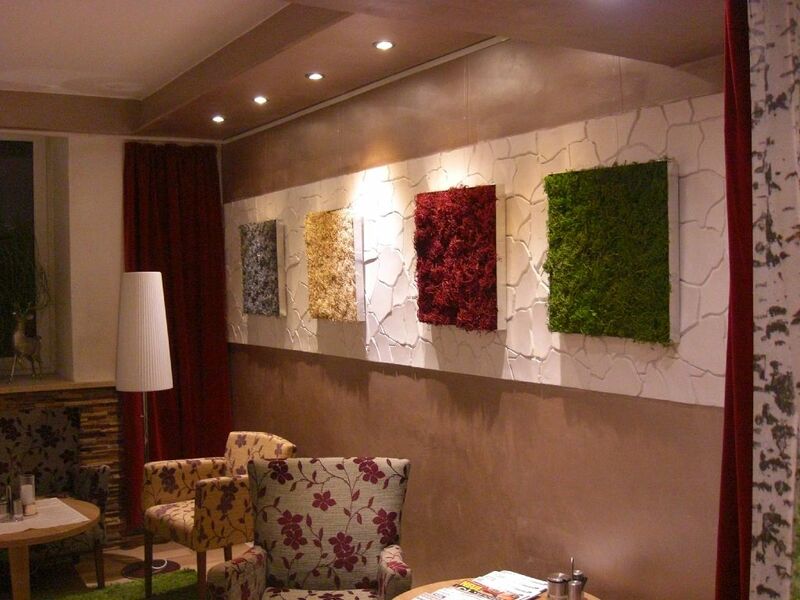 The moss pictures offer a great possibility to set certain areas of a wall in scene. 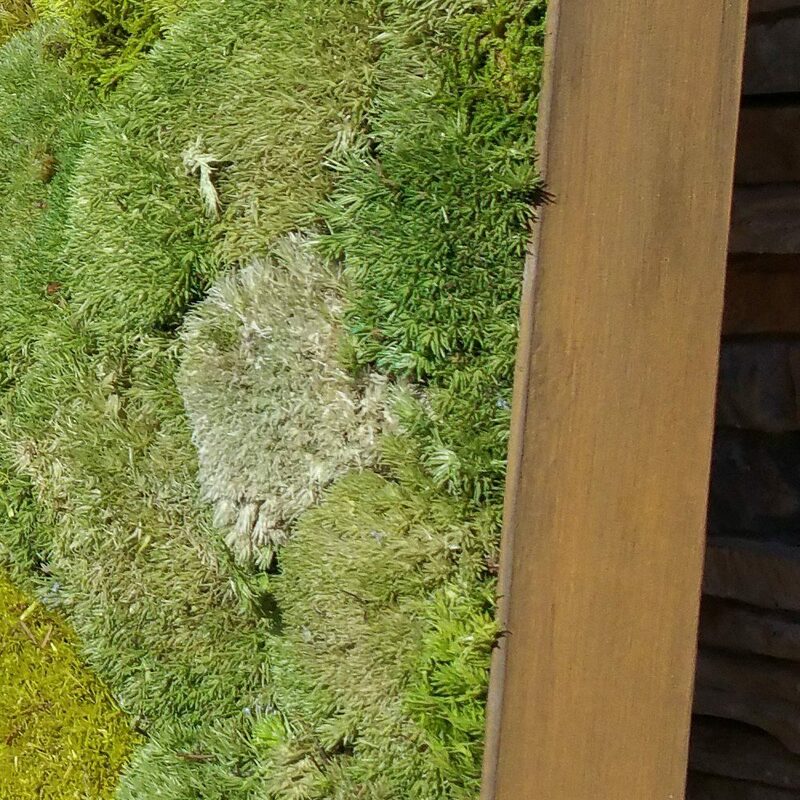 The moss varieties are glued by hand on a wooden support plate. 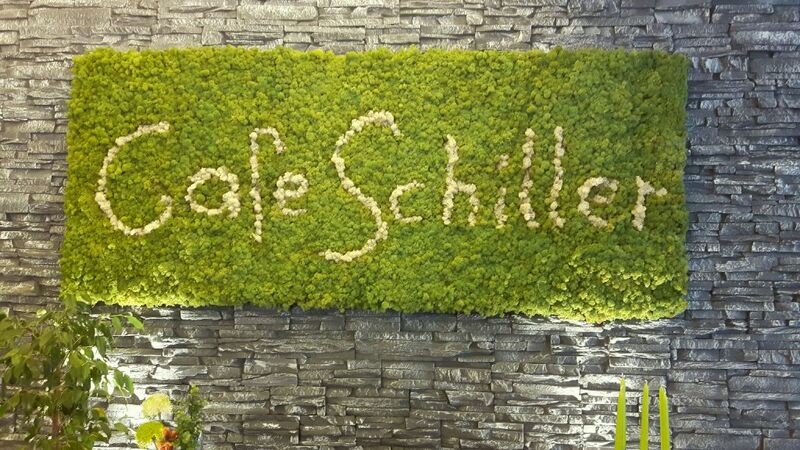 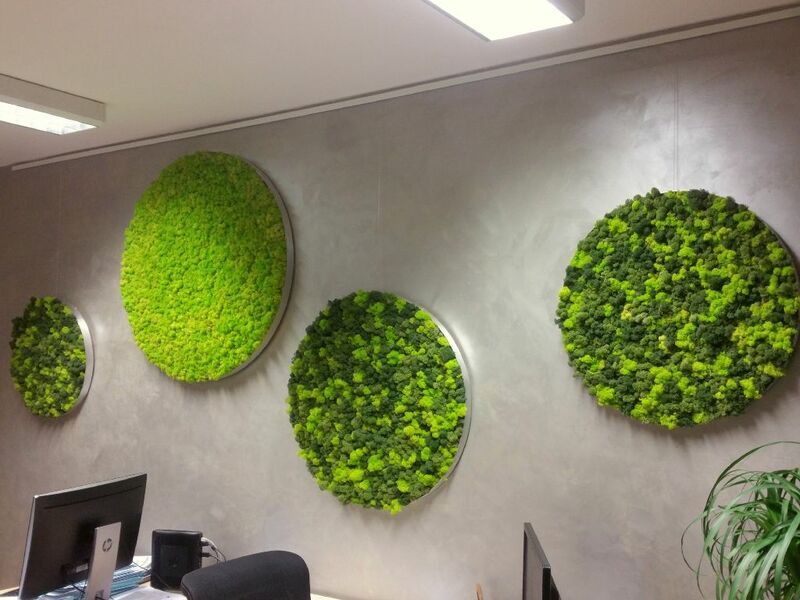 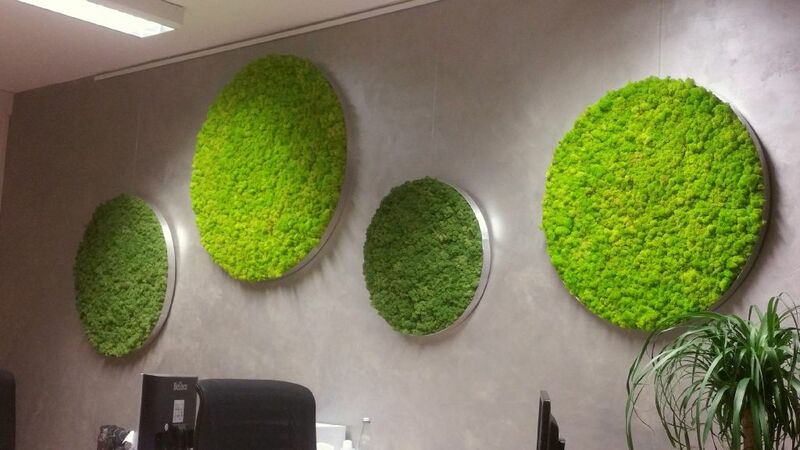 Pictures can be ordered with individual mosses or in combination, depending on the customer's requirements. 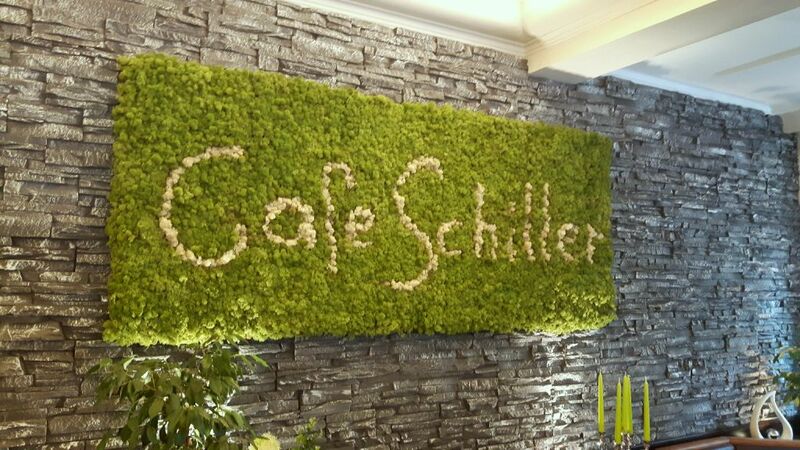 Letters and logos are no problem. 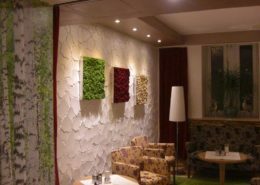 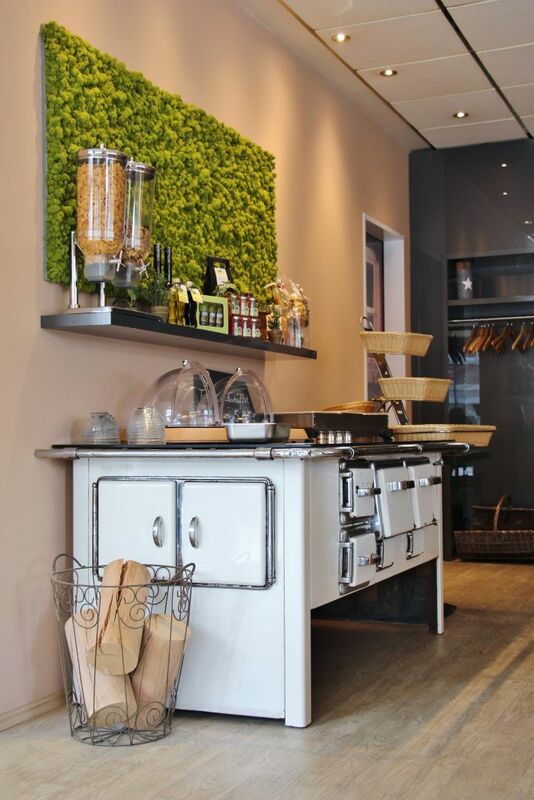 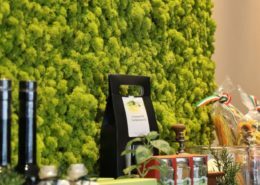 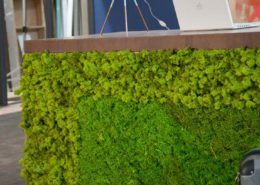 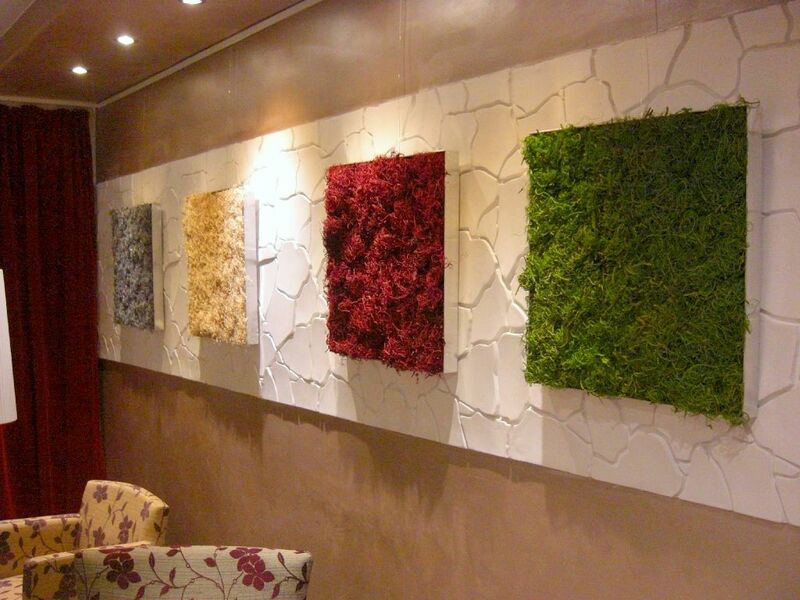 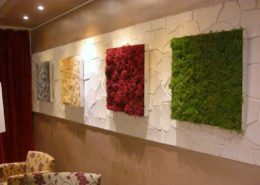 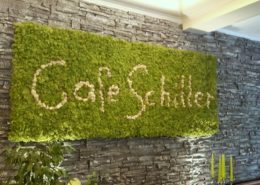 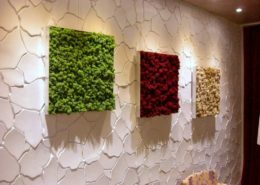 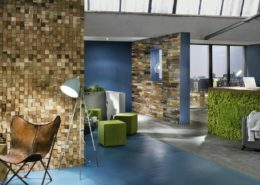 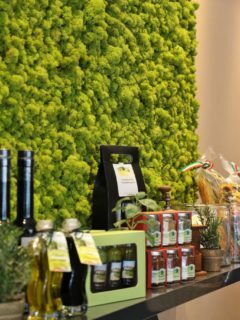 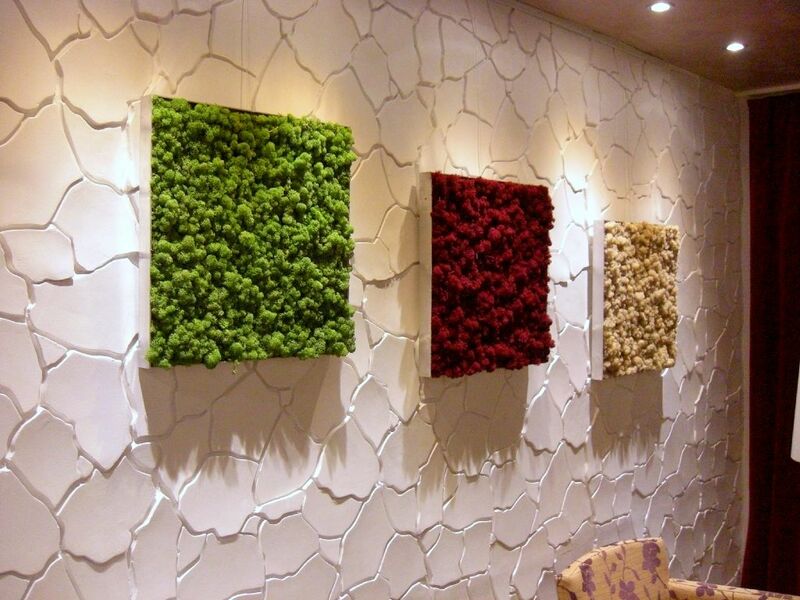 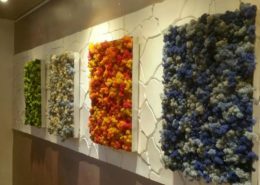 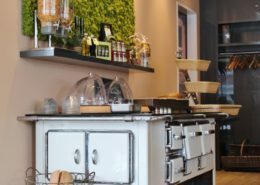 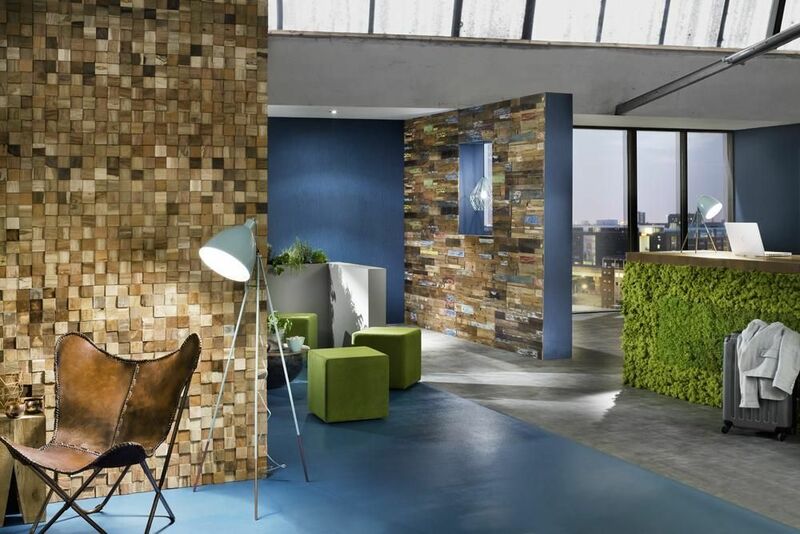 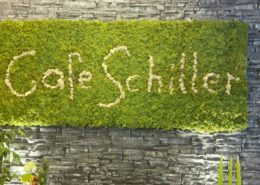 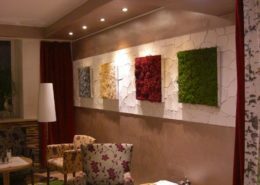 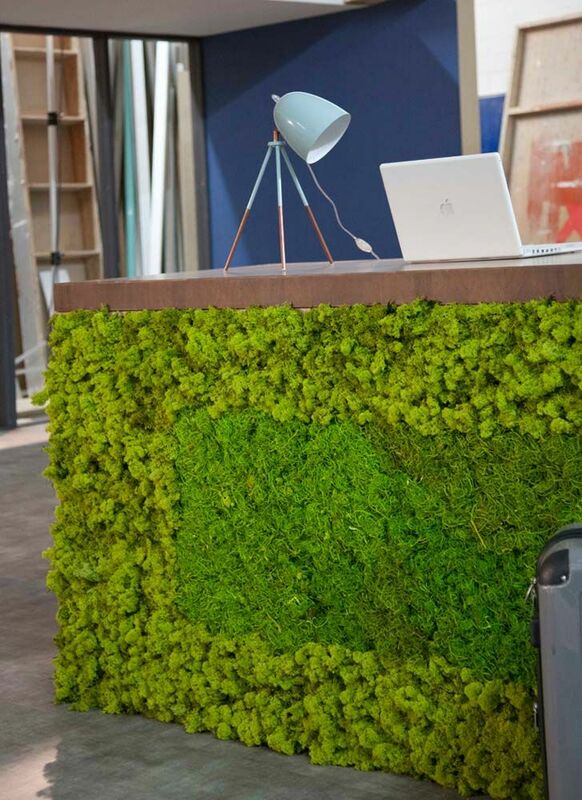 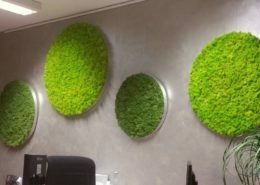 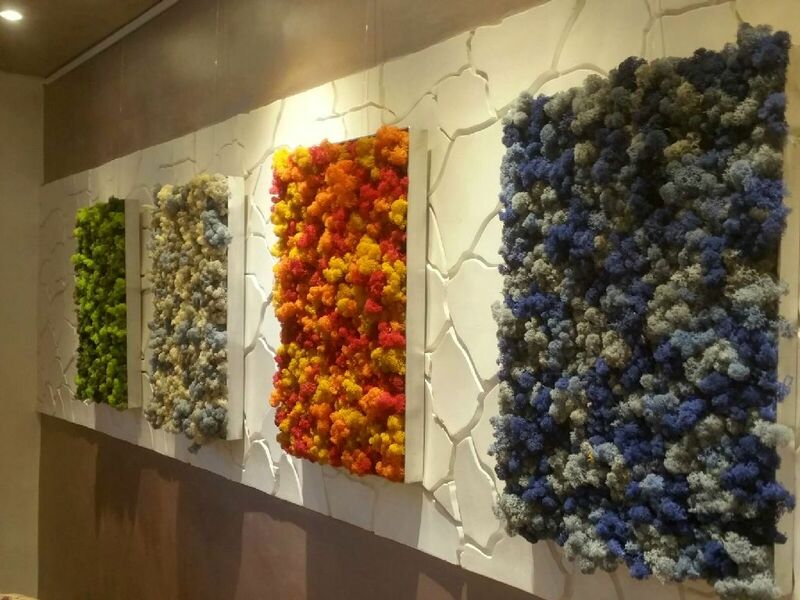 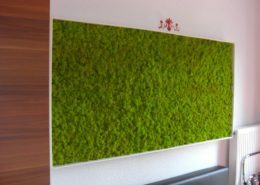 This type of wall design offers a wide range of applications, whether as a wall covering in hotels, in shop building, in office rooms, in the reception area or in the private area, such as a living room or bedroom. 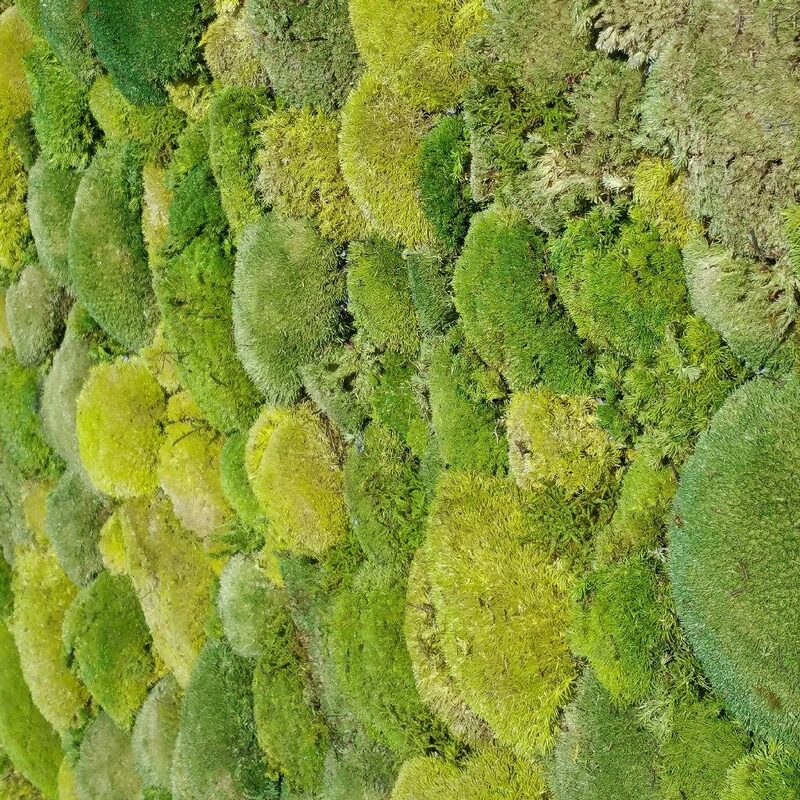 The moss species used are 100% natural and are permanently preserved by a special process. 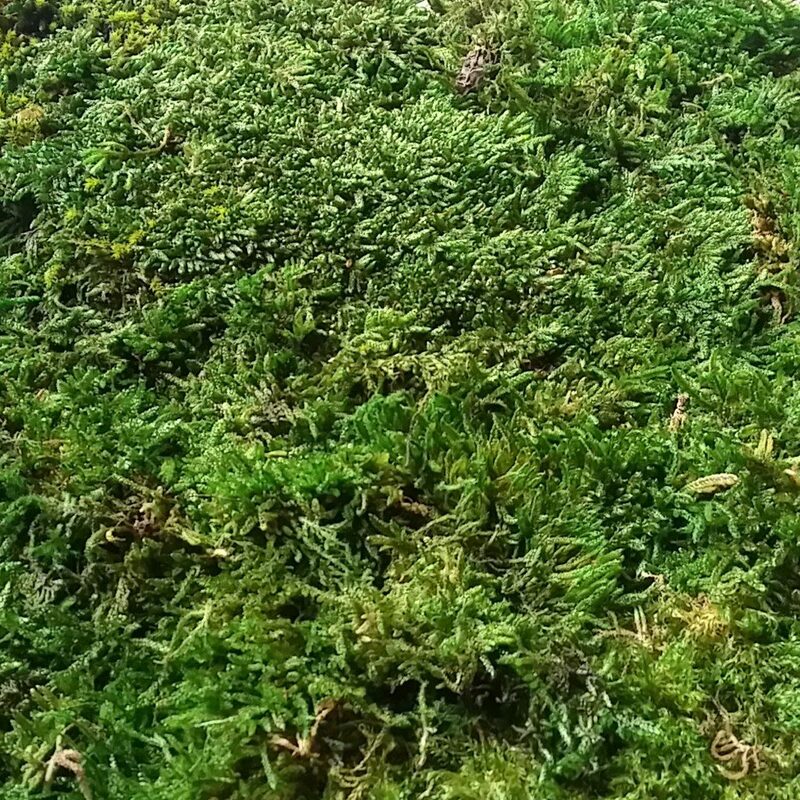 This gives you a moss image that is free of cares. 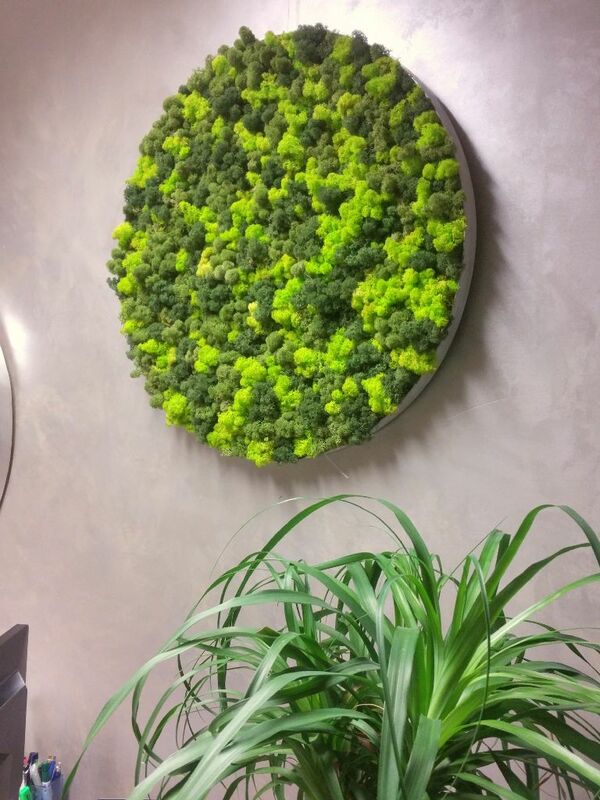 It does not need water, sunlight or fertilizer. 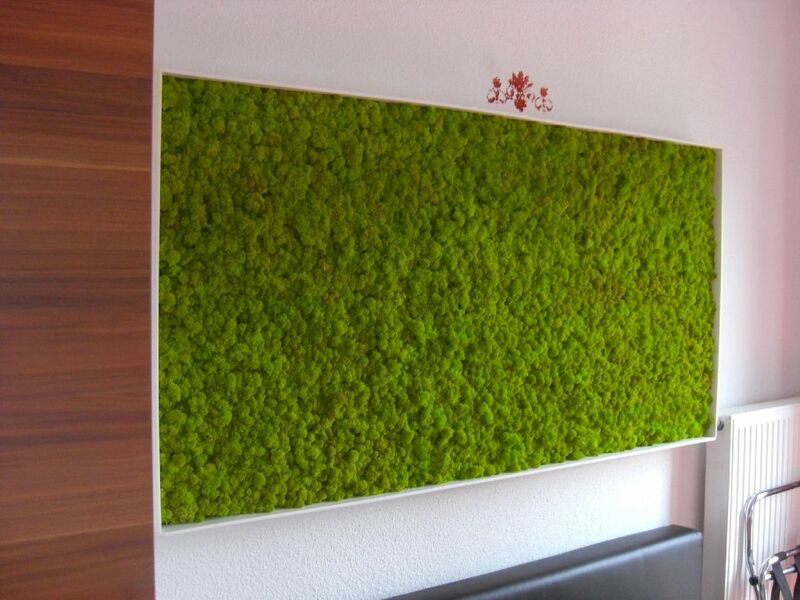 In addition, they have a sound-absorbing effect and are a natural indicator of too dry room air. 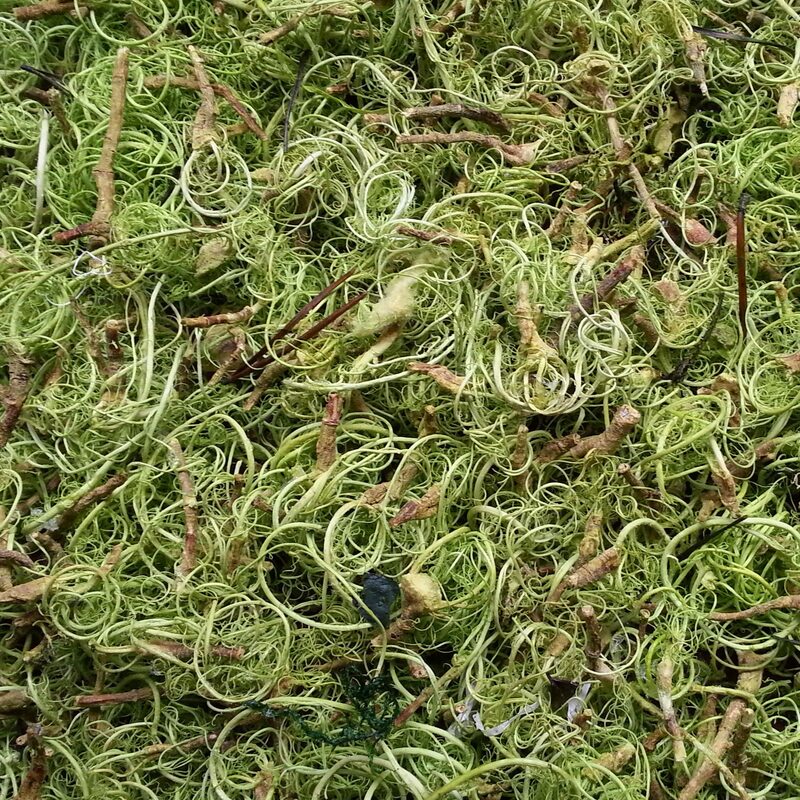 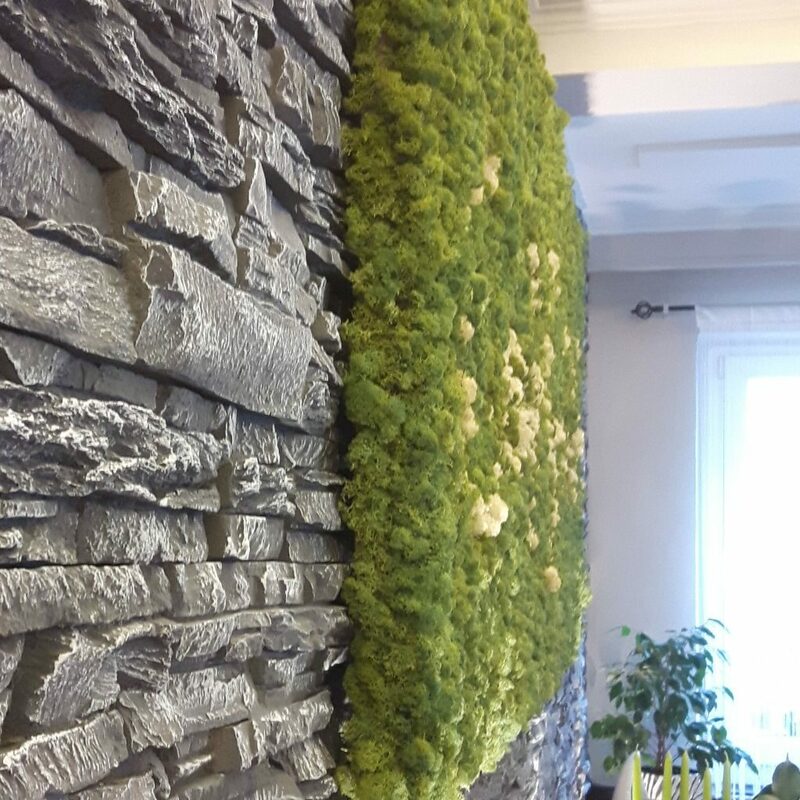 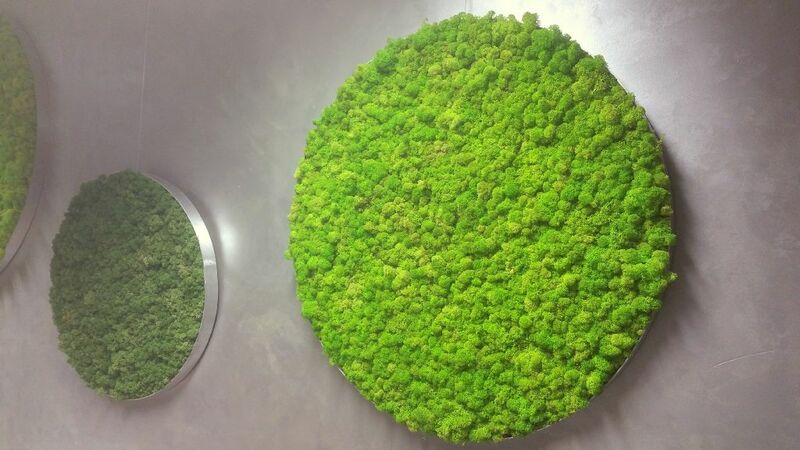 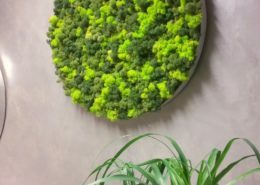 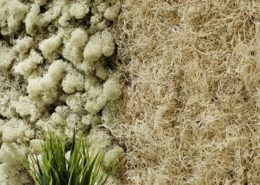 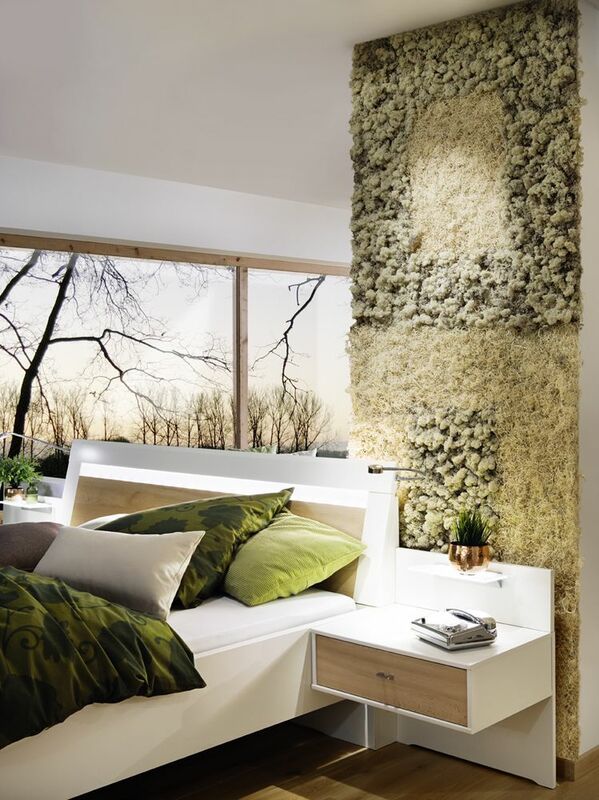 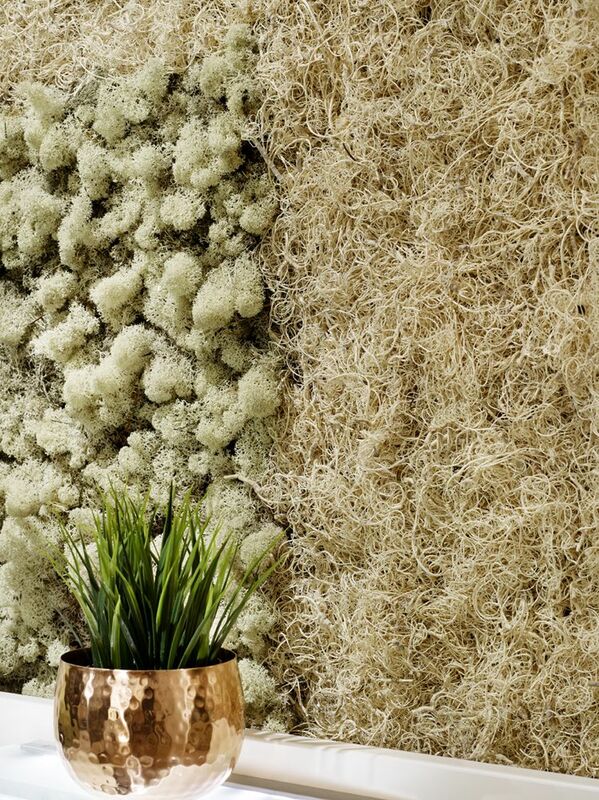 There are four varieties of mosses to choose from: reindeer moss, curly moss, forest moss and Pincushion moss. 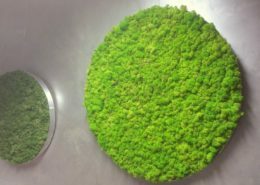 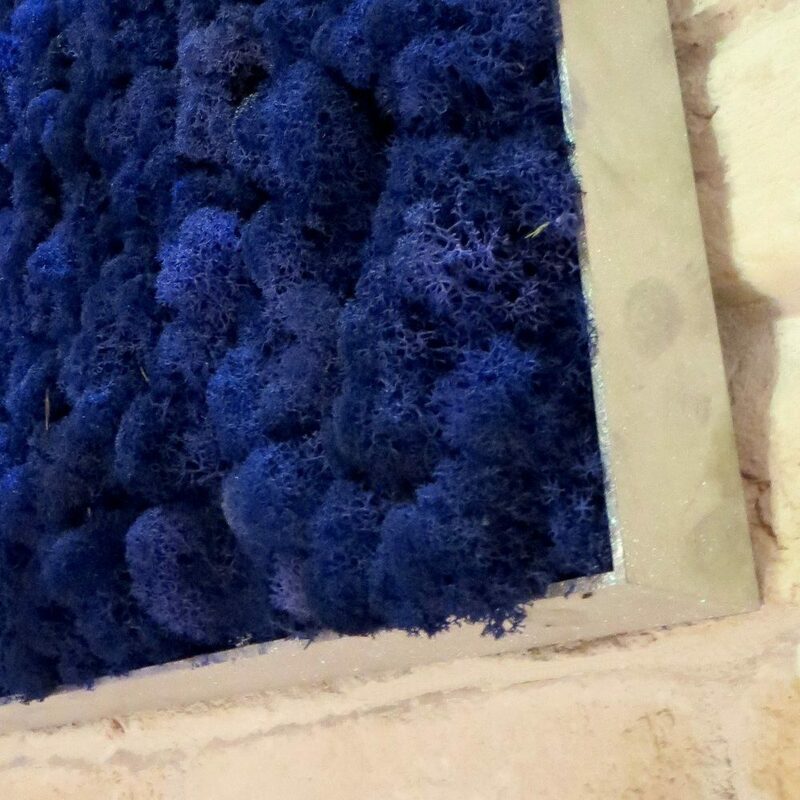 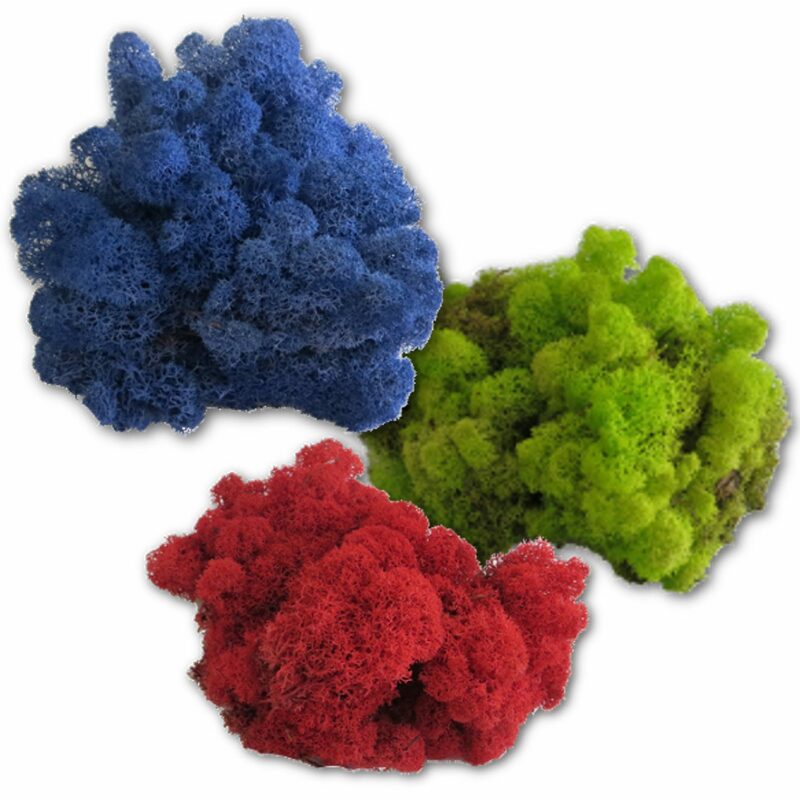 With the reindeer moss are more than 25 colors available.